Samsung Galaxy S10 series is set to launch this month, and now a new render leak shows us exactly how the Canary Yellow colour option for the Samsung Galaxy S10e will look like. Information about the dimensions of the Samsung Galaxy S10 family have also been leaked to give users a fair idea about the three smartphones’ body size. The Samsung Galaxy S10 series is set to launch in three variants at least – the vanilla Samsung Galaxy S10, the larger Samsung Galaxy S10+, and the cheapest Samsung Galaxy S10e. 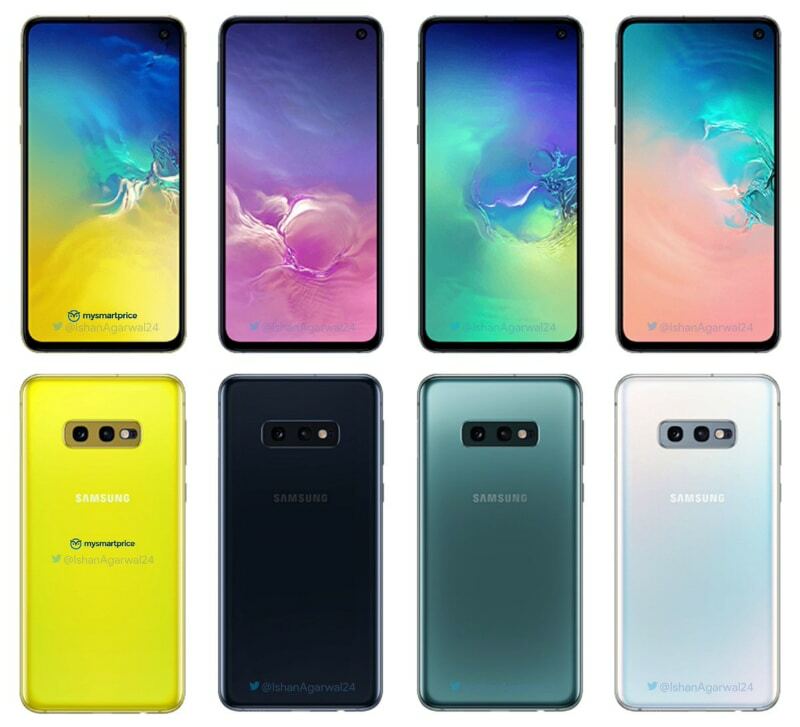 The dimensions of all the three variants have been leaked, along with photos of all the colour options now expected from the Galaxy S10 family. Tipster Ishan Agarwal has leaked dimensions of the three variants on Twitter. The smallest of the lot is thought to be the Samsung Galaxy S10e, which is tipped to sport a 5.8-inch display, and is now reported to measure 142.5×70.5×8.1mm. The vanilla Samsung Galaxy S10, which is tipped to sport a slightly larger 6.1-inch display, will measure 149.9×71.6×8.1mm. And the most premium Samsung Galaxy S10+, which is tipped to sport the largest display of the lot at 6.4 inches, will measure at 157.0×75.3×8.1mm. This leak confirms that even though the screen size is different of each variant, the three phones have similar thinness. This is interesting given the premium variant is said to sport a large battery at 4,000mAh, while the Samsung Galaxy S10e is expected to sport only a 3,000mAh battery. Separately, Agarwal has also leaked the Samsung Galaxy S10e Canary Yellow colour render. In the photo shared, the phone is seen to sport a metallic frame, the Infinity-O Display up front, and a Canary Yellow glossy back panel with a dual rear camera setup sitting horizontally, and the Samsung logo sitting in the centre. The fingerprint scanner can be seen at the right edge, and the volume and dedicated Bixby button is on the left edge of the phone. Agarwal has also shared another photo comparing all the colour variants expected, apart from the Ceramic ones. The Blue colour option, he claims, will be available a little later. Samsung is set to announce its Samsung Galaxy S10 series at its Unpacked event on February 20 in San Francisco. The company is also rumoured to launch its foldable device alongside.